We are proudly presenting SightRun Pula – a new Runner Friendly City and one great running tour for SightRunners. Download SightRun App and discover cities that you can explore running. If you are planning your trip to Croatia this summer, make sure to check if some of our suggested Runner Friendly cities are on you list. So, after Zagreb, Rovinj and Opatija you can now discover regional capital Pula. 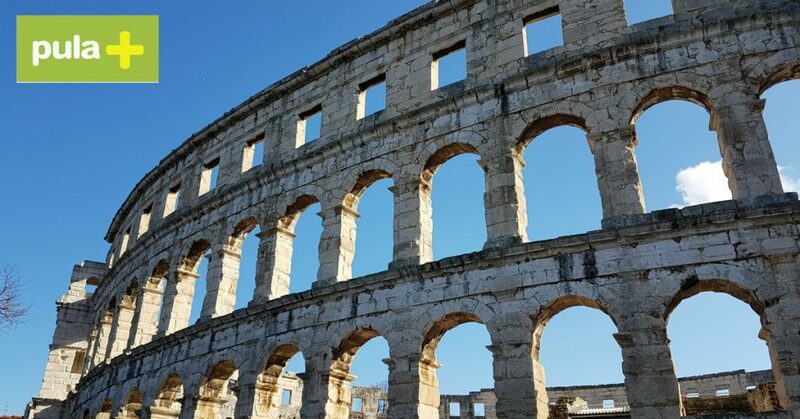 In co-operation with Pula Tourist Board – pulainfo.hr and local runners, we created a 5km long Pula running tour that starts just in front of the city’s best known landmark – Amphitheater, popularly called the Arena of Pula. The tour (as well as the App) is completely free and you can use it any time you are in Pula. Pula Sightseeing Run takes you running through the city centre passing by the main city’s attractions such as Forum, Temple of Augustus, Triumphal Arch of Serghi, Gate of Hercules, bustling local market and Lighting Giants! To use the app and freely enjoy your run, make sure you have your earphones. You don’t have to look at your phone while running. The app will navigate you during your run so the only thing you have to do is listen to the audio instructions and stories about the amazing attractions you’ll see along the way. The app uses GPS of your phone so it doesn’t matter how fast you run or if you stop to take a photo. When you reach the end of your run you’ll get your running Summary for Pula that you can share with your friends or on your social accounts. Seeing how popular running is in the world and that more and more runners visit Croatia, the city of Pula wants to welcome all runners. In Pula runners can use SightRun app to discover the city with audio guide, they can join numerous running events in Pula, such as Pulska Xica – 10km race, or nearby Run Eat Drink events, or even choose Pula running tour with a guide. With SightRun mobile app, Pula gives an opportunity to their running guests to stay active during their stay and to explore the city at the same time. With the app they can do that at any time of the day without worrying about getting lost. You wonder why to visit Pula? Pula became easily accessible by plane since some of the low-cost airlines added their flights there. Some Croatian cities on the coast tend to be overcrowded during the summer. Pula is very popular but you won’t hate exploring it! If you decide to go for a SightRun, we suggest going in the early morning so you can have the whole city for yourself and to avoid summer heat. Travellers from all over the world come to Pula to explore and enjoy the beauties of this 3000-year-old city situated in the south of the Croatian region of Istria. 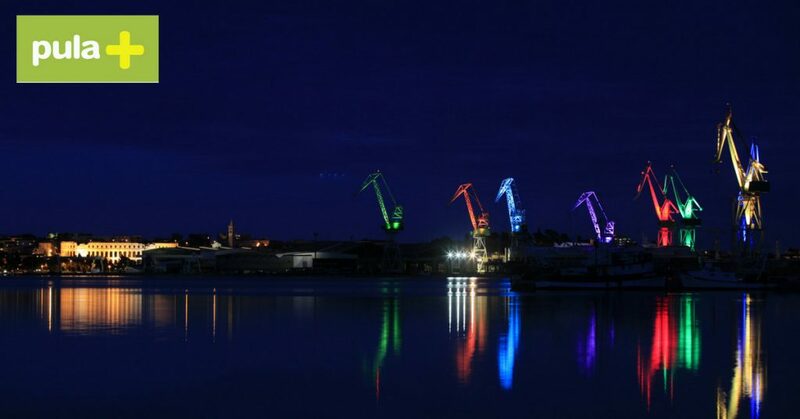 Between some amazing cultural attractions almost every evening during the summer time, Pula organizes many interesting events. The most popular are concerts, the gladiator games Spectacvli antiqui and Pula Film Festival held in the Amphitheater. The younger population from different parts of Europe comes to enjoy Outlook and Dimension festivals. Now you know! Pula should for sure be on your list if you are traveling to Croatia. You can stay active, have fun, listen to good music, eat delicious food and relax on the beach. Just don’t forget to take your running shoes for your next trip to Croatia and Pula!